The investment from Adobe will benefit creatives, small businesses and enterprises across the UK. Minsters from the Department for International Trade and Department for Digital, Culture, Media and Sport (DCMS) will today host industry leaders including Adobe at a Creative Investor Roundtable. They will discuss the UK’s strengths as a creative hub and the UK’s unique offer in the creative sector. Hosted at 10 Downing Street, the event is the fifth in a series of investment roundtables which promote UK industry sector opportunities to a global audience, and drive foreign direct investment into the UK. Newly released figures from the DCMS show the value of the creative industries to the UK is up from £94.8 billion in 2016 to £101.5 billion, and has grown at nearly twice the rate of the economy since 2010. The investment from Adobe will benefit the number of creatives, small businesses and enterprises in the UK who currently use the company’s software, accelerating innovation and driving economic growth. The company has grown its workforce in the UK by 30 per cent in last two years and has offices in Shoreditch, Maidenhead and Edinburgh. "The UK is home to world-leading creative and digital industries and our latest statistics show these booming sectors are now worth more than £230bn to the economy. 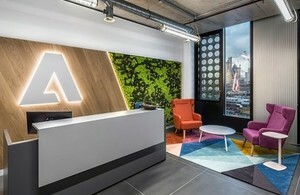 "We are already Europe’s leading tech hub, with the talent, environment and entrepreneurship that businesses want, so it is great to see Adobe creating even more high-skilled jobs and investing here. "Through our modern Industrial Strategy we are committed to making Britain the best place in the world to do business." "Adobe’s announcement is another show of confidence in our world-leading creative sector, one of the fastest growing parts of UK economy. "As an international economic department, we are proud that the UK receives more inward investment in the creative and digital industries than any other European country. "However, we realise that there is still huge untapped global potential. That’s why I’m looking forward to attending the Creative Investor Roundtable today, to discuss where there is further global demand for British creative expertise and how we can work together to drive investment into the UK." "Adobe is the global leader in creativity, providing the creative platform for all, and the UK is a critical market for our business growth and innovation. Recently, we’ve grown our workforce, opened a new office in Shoreditch, and we are committed to furthering our investment in the UK and the impact it will drive across the economy." The Government continues to back the creative industries. There has been a £12.6bn increase to the sector since the introduction of dedicated tax reliefs supporting high-end television and film production. There was also £1.38bn of inward investment in the film industry last year as a result of tax relief. As part of the Government’s Industrial Strategy, nine new Creative Clusters across the UK have benefitted from £80m funding to boost innovation by part-funding research partnerships between universities and industry. They aim to increase the use of digital technologies to improve audience experience in the screen and performance industries, and shorten production times in the design industry. The UK is a world leader in the digital economy, with venture capital in London’s tech sector reaching an all-time high last year of £2.45bn – more than Germany, France, Spain and Ireland combined. More than 2.1 million people are employed in the digital and tech economy and the UK has more than 800,000 professional software developers, adding more than £116.5bn to the UK economy. The UK is the number one destination for tech talent, with one in five of all international movers coming to the UK.